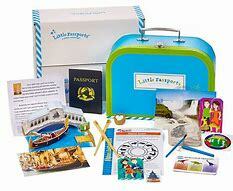 Little Passports is offering 15% off all gift subscription. Use coupon code GIFT15 at checkout. World Edition - Learn about a new country each month, with souvenirs and hands-on activities. Science Expeditions - Discover the world of science through monthly experiments and activities. Early Explorers - Explore a new world theme each month, like Music, Oceans and Dinosaurs. USA Edition - Learn about two new states each month, with activity-packed State Journals.